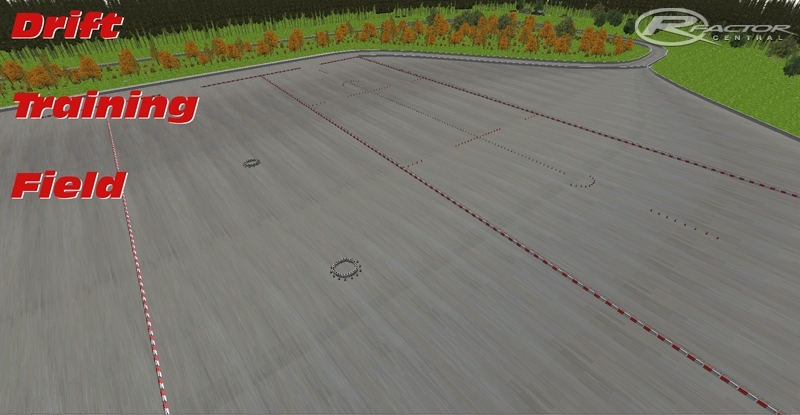 A field made to practice drift Basics ! - First area to train drift and powerslide , get two second gear stabilize speed , brake at cones to transfer weight and pull e-brake , turn along corner and at half way , continue with throttle to finish the half turn . Practice in left turns and right turns. - Second area take the first step two a second level , combine what you practiced in the first area to this second one , add a transition to make a "8" between cones . Thanx man, exactly what I was looking for!